You've probably heard the phrase, "If you can make it in the U.S., you can make it anywhere." As international students coming to America, this motto is a great way to get inspired for what lies ahead. If you're seeking a career in management, you're likely a person who does well in a setting where you are a leader and can take charge, organize and of course, manage. Because management roles can be found in any vocational setting, you have an edge when it comes to choosing your career path. If you're interested in management, there are many different types of companies you can look into for positions. And the benefits? Managers are always needed - and generally paid well. Whether your interest is in hotels, restaurants, health services, human resources, editorial, marketing, or advertising, managerial roles are always a crucial part of any company. You are the person the company most needs in order to run smoothly. Management is essential to business. A manager is the person responsible for overseeing people and projects. 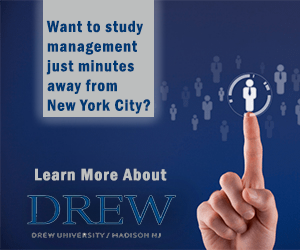 If you are interested in a leadership position, the study of management may be for you. Management degree programs will help you develop effective interpersonal skills, build your decision-making and entrepreneurial thinking, and help you become more familiar with diverse business environments. These skills can be applied in a number of areas, including personnel management, organizational behavior, production, international and small business, healthcare, government agencies, financial institutions, telecommunications, hospitality, and education. If you’re looking for a program with a wide variety of applications, you may consider a degree in management. A management degree provides you with greater flexibility and value in a highly competitive job market. Because careers in management are so valued, the process begins with appropriate schooling. There are many schools in the United States that you can look into to study management as well as the more affordable online option. Felician University, for example, offers associate’s, bachelor’s, master’s, and doctorate programs in Business Administration and Management. The management BS program at Felician combines courses in leadership and management with core business courses, allowing students a well-rounded knowledge base to help them on their way. When studying management, you can choose to specialize in corporate finance, global marketing, global human resource management, international accounting and finance, international management, operations and supply chain management and project management. Some of these management studies are also broken down into specific specialties (which is especially helpful if you already know exactly what branch of management you are shooting for). SAT and ACT scores (you will want to look into each university's requirements to see if your scores are suitable). So how do you go about choosing a major in management? There's really no rush on your future - after all, that's what college is for. However, the sooner you can pinpoint what it is you are really interested in, the easier it will be for you to pave the way to your future career. To determine a specific area of interest in management, think about what your hobbies and passions are. Did you play sports in high school? Did you enjoy mathematics? Or maybe you really enjoy all things health-related. These are all fields that you can relate to management. As you study management, you'll want to stay up-to-date on what's going on in that line of work. If you are always aware of the changing roles and expectations in the field, you'll have an advantage when you finally enter the job market. For example, instead of letting statistics scare you, let them inspire you. According to James Bird Guess International Success Academy, 60 percent of new managers fail in the first 24 months. While at first this may cause you to want to rethink your career path, it's actually an opportunity for you. Why? Because companies are in need of great managers. That could be you. Visit the Study in the USA School search to find schools that offer programs of study in Management. Over time we will be updating this section and including more information for those who want to study management in the USA and for other countries, but please feel free to post your thoughts and comments on our Facebook fan page, and also follow us and post questions through Twitter.